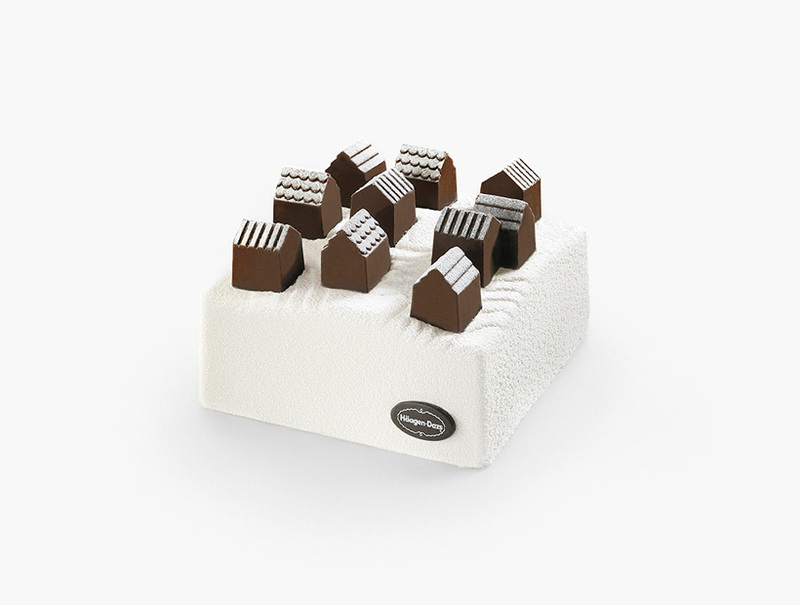 The design for an ice cream cake, sold at the Häagen-Dazs shop on the Champs Élysées in Paris at Christmas time. 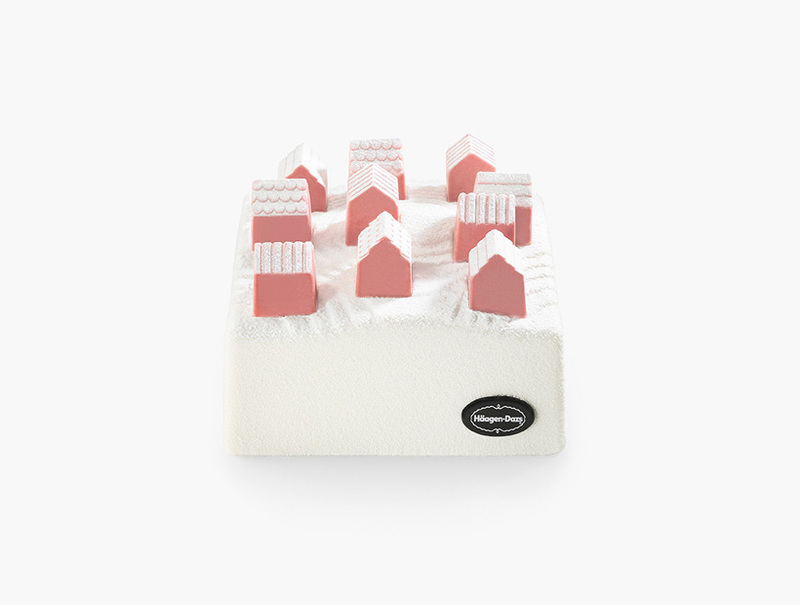 Christmas is about homecoming, about spending time together with family, so we created a cake that’s a small village, composed of houses clustered closely together. 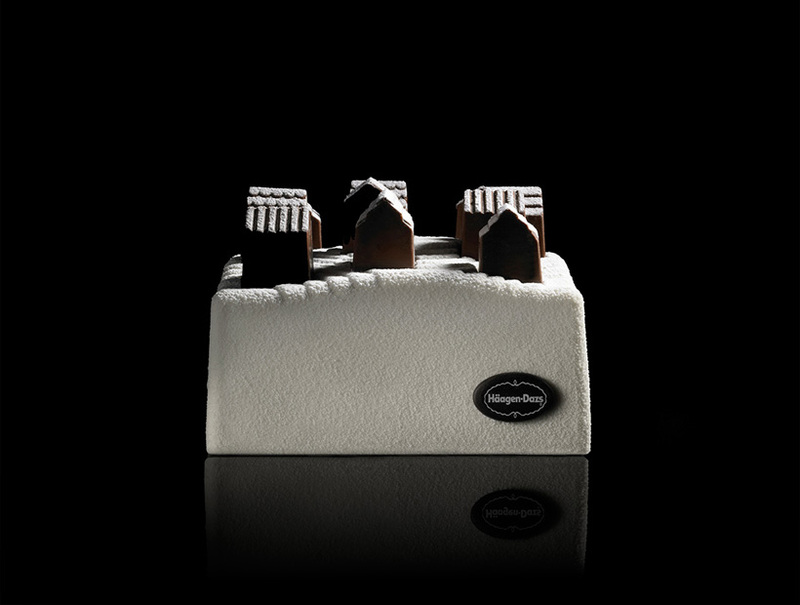 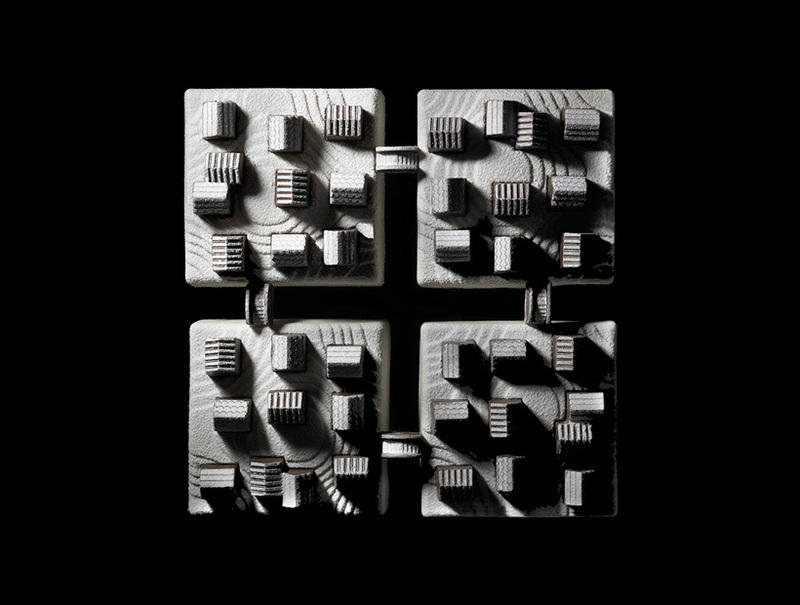 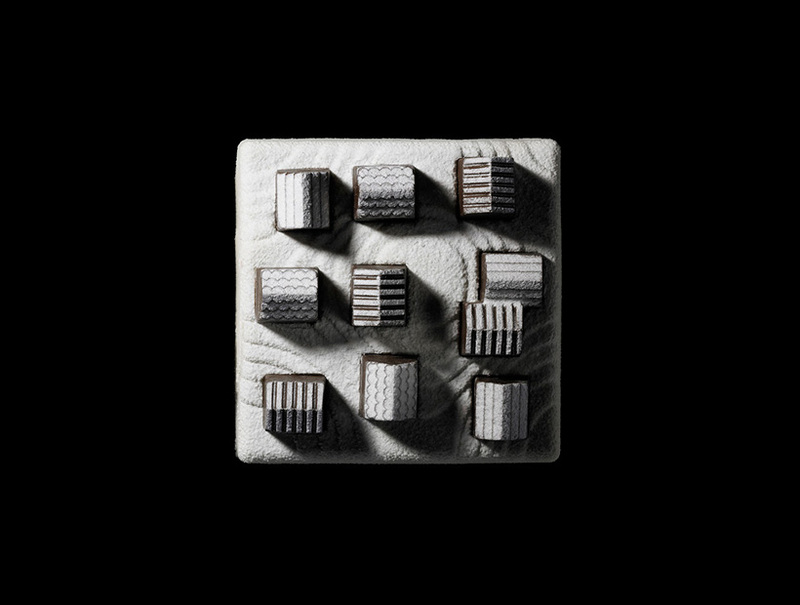 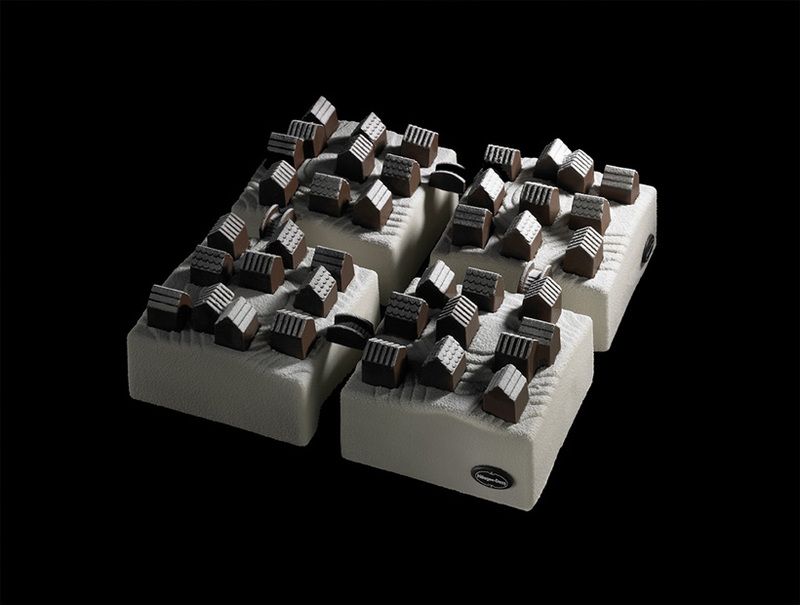 The houses themselves are created in milk chocolate, filled with fudge and pieces of caramelised nuts. 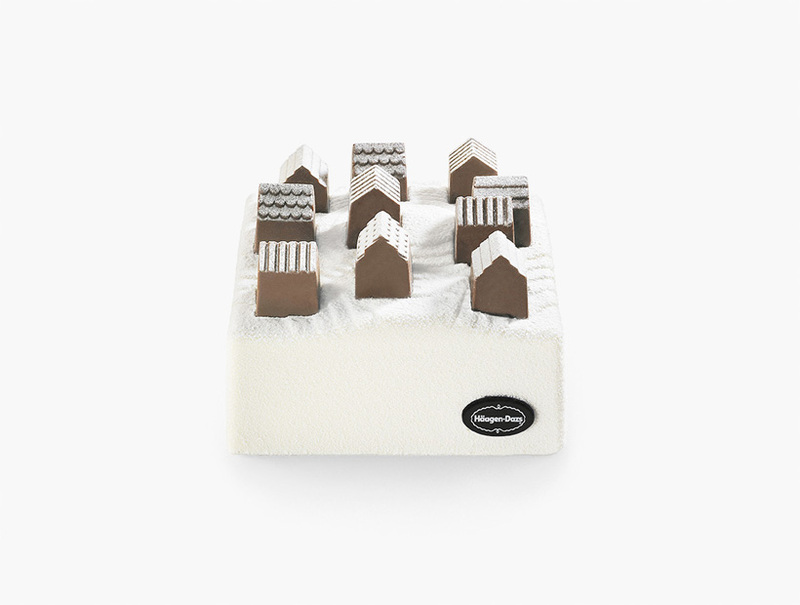 The rooftops have different patterns, and we dusted the rooftops and cake with white chocolate powder like snow, so that the village is nestled gently and quietly in the snow. 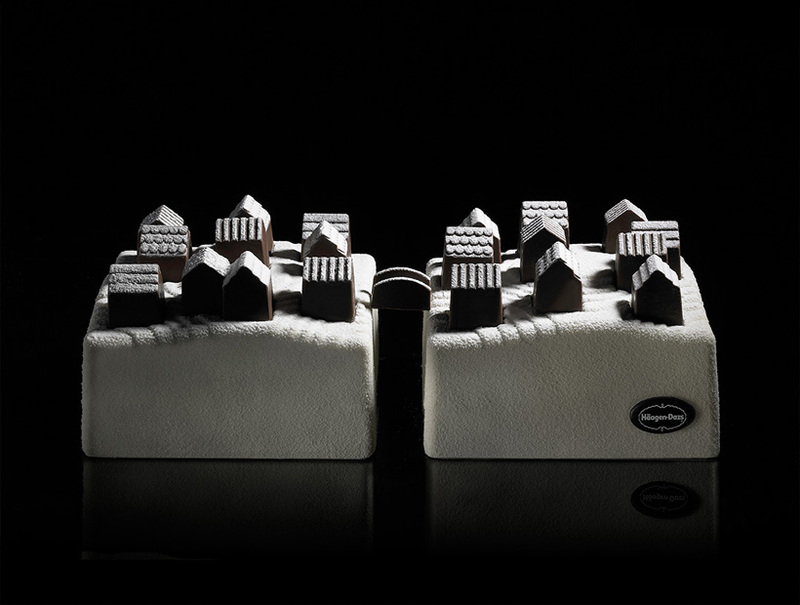 We thought the winter wonderland scene would emphasise the warmth and cheer inside each home. 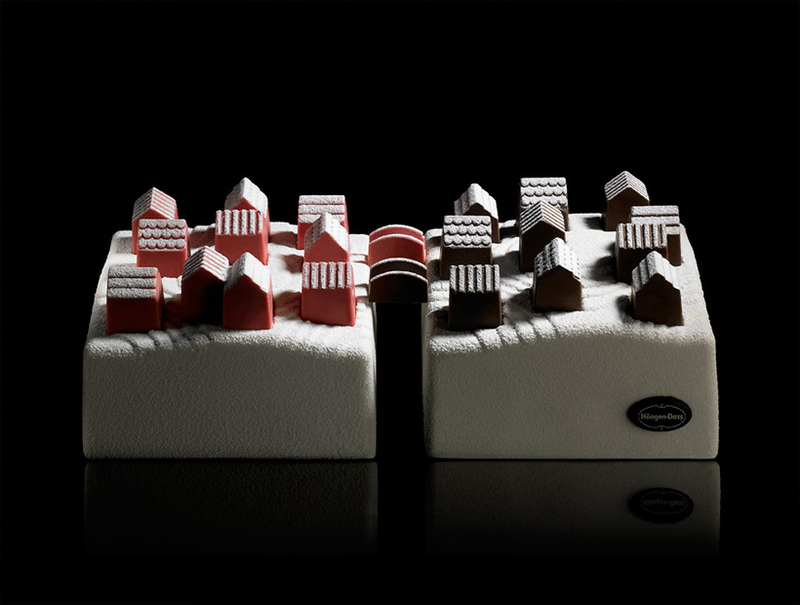 Customers who purchase more than one cake receive a chocolate ‘bridge’. 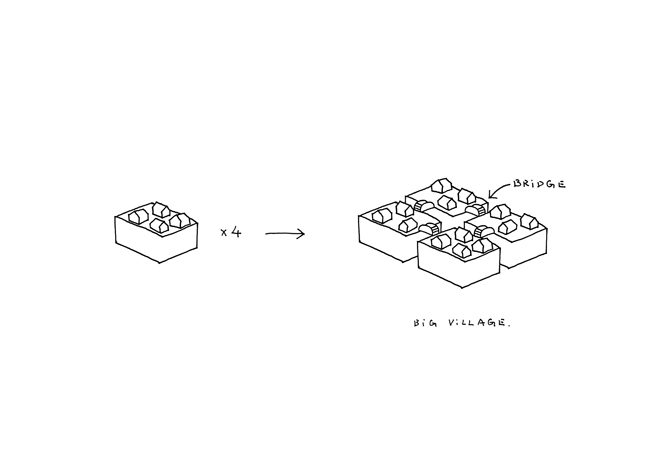 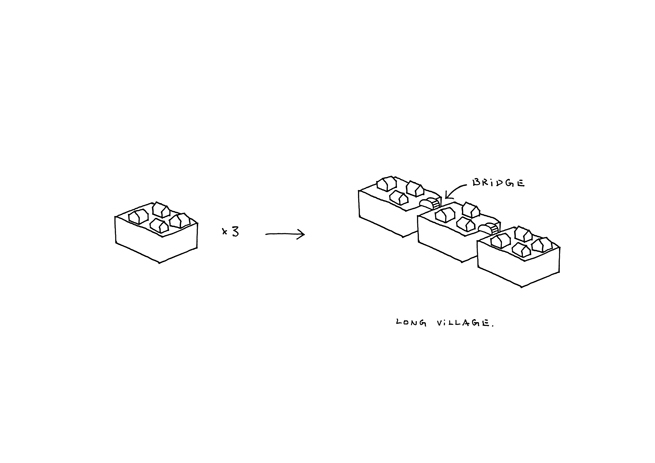 The bridges allow customers to connect several villages to each other, turning the cakes into ‘long, thin villages’ and ‘big villages’ on the table-top for large parties. 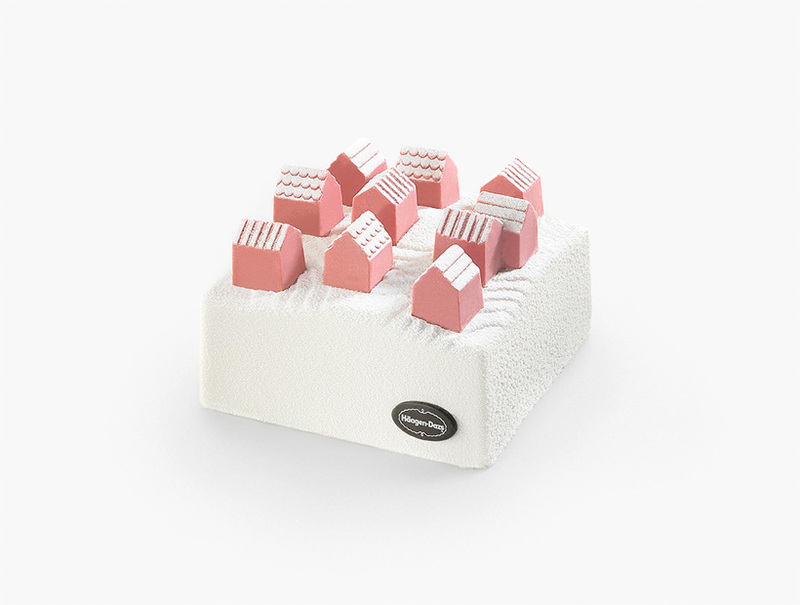 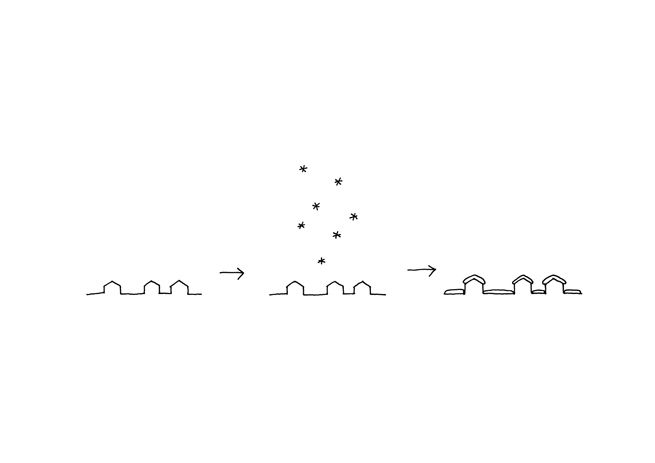 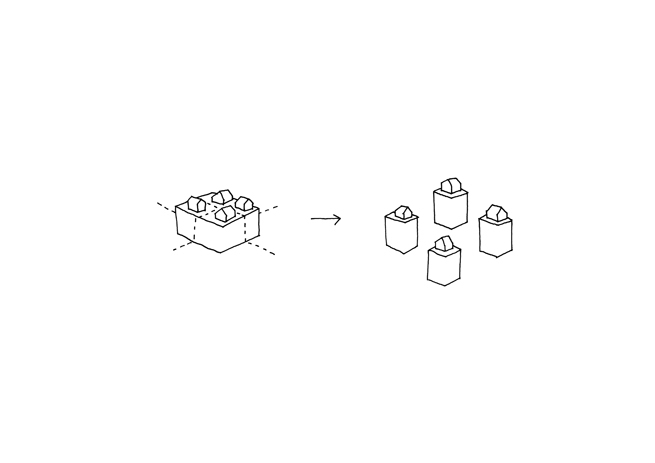 To make this even easier, the surface of each cake was designed like an undulating landscape, so that the cakes fit together beautifully regardless of how they’re placed together. 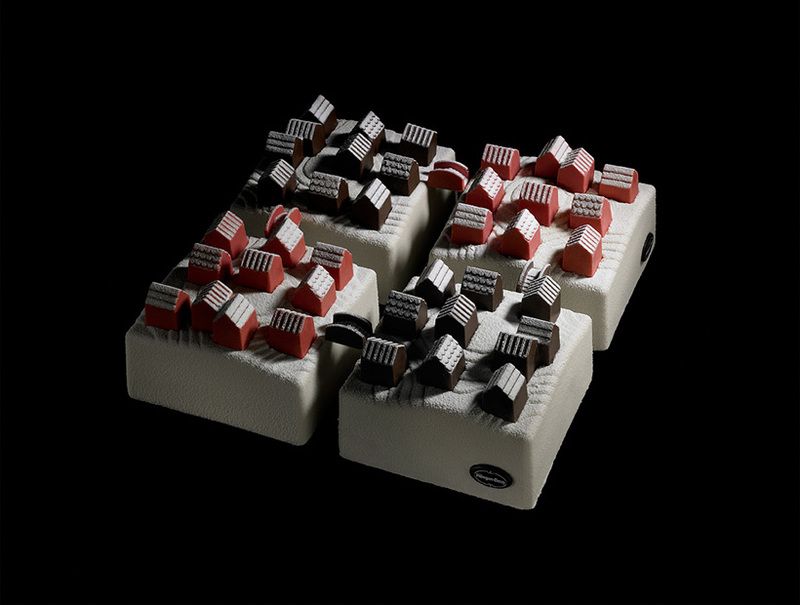 The cakes come in two flavours: a caramel and nut-based cake with milk chocolate houses, and an orange and dried fruit-based cake with berry-scented chocolate houses.